Topps | "é rayhahn, rayhahn"
Series 2 Topps finally has Nishi’s rookie card, and it features a play at the keystone. Can we tell exactly when this play occurred? 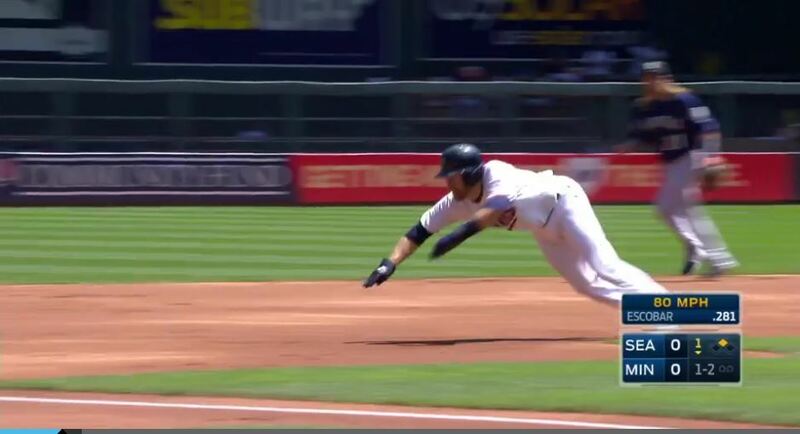 3) Most certainly an attempt at a double play. From Alexi Casilla’s position in the background, it looks like he may have originally fielded the ball. – …April 1st (no, it’s not an April Fool’s Joke) — in the bottom of the 6th inning, Adam Lind grounds weakly to short, and Bautista is the lead out in a 6-4-3 DP to end the inning. I pulled this from the four rack packs I picked up last weekend. What can we find out about this particular photo? The lack of “knee blocks” behind the catcher’s knees was the giveaway to me that this was a backup catcher. 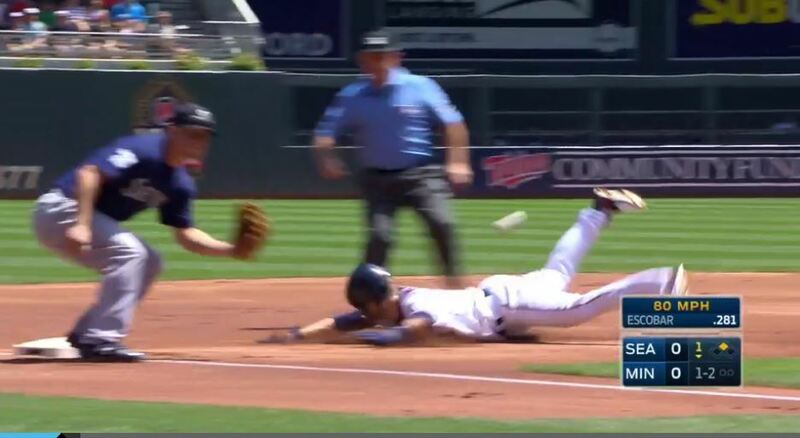 Gardy likes to use a backup on day games following night games, so this is consistent, too. 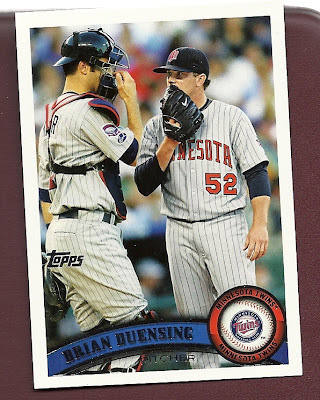 PS: if you really want to see Mauer on a 2011 Topps card (he’s scheduled for series 2) I suggest this one. Garry card is known in the baseball card world as a “common”, but this card is more than that. At the time Topps was releasing these cards, the final “set” of cards (the highest numbers) for the year always ended up with fewer cards printed, and therefore their value was higher, since they are rarer. #582 is the highest Twins card from 1966, so even as a common, its value is relatively high. On the back, it says, “[in 1964], the southpaw developed a sore arm in the spring and wasn’t able to throw a single pitch for the entire campaign.” Now days, it would instead say something like “doctors found a partially torn anterior cruciate spheriod ligament” and after getting three opinions, complicated laser/nuclear microsurgery is performed; back then the team trainer would just rub dirt on it and hope for the best. Still have three more high cards from 1966 to pick up, but nice to have this one in the fold, and at a reasonable price, too.